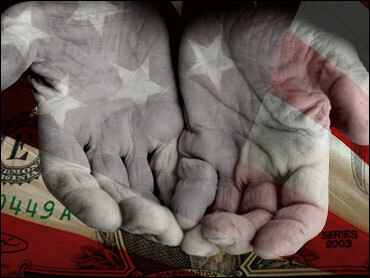 The Census Bureau reports that 12.5 percent of Americans, or 37.3 million people, were living in poverty in 2007, up from 36.5 million in 2006. The Bureau said the rate is not statistically different from the previous year. However, the data released Tuesday do not take into account the consequences of the economic downturn that began late last year. Although poverty rates were statistically unchanged for non-Hispanic Whites (8.2 percent), Blacks (24.5 percent), and Asians (10.2 percent) from the previous year, it increased for Hispanics (21.5 percent in 2007, up from 20.6 percent in 2006). The rate also increased for children under 18 years old (18.0 percent in 2007, up from 17.4 percent in 2006). The rates remained statistically unchanged for those 18-to-64 years old (10.9 percent) and those 65 and over (9.7 percent). The data also revealed that the number of people lacking health insurance dropped by more than 1 million in 2007, the first annual decline since President Bush took office. Census says 45.7 million people - 15.3 percent of the population - were uninsured in 2007. That's down from 47 million in 2006. Both the percentage and number of children under 18 years old without health insurance were lower than in 2006 (11.0 percent and 8.1 million, respectively). Although the uninsured rate for children in poverty decreased last year, from 19.3 percent to 17.6 percent, children in poverty were more likely to be uninsured than all children. In 2007, 24.5 percent of people in households with annual incomes of less than $25,000 had no health insurance coverage. The data is included in a new report by the Census Bureau, Income, Poverty, and Health Insurance Coverage in the United States: 2007. The report showed that by region, the number of those living in poverty in the South increased to 15.5 million in 2007 (14.2 percent), up from 14.9 million in 2006. The poverty rates for the Northeast (11.4 percent), Midwest (11.1 percent), and West (12.0 percent) were statistically unchanged from 2006. Among the positive findings: The median - or midpoint - household income (adjusted for inflation) increased 1.3 percent between 2006 and 2007, from $49,568 to $50,233, the third consecutive annual increase. Source: U.S. Census Bureau, Current Population Survey, 1960 to 2008 Annual Social and Economic SupplementsThe data was collected from the Current Population Survey (CPS), 2008 Annual Social and Economic Supplement (ASEC), the source of official poverty estimates. The CPS ASEC is a sample survey of approximately 100,000 households nationwide.